Pharmacy Technicians use their extensive knowledge and training to deliver quality care and service in the dispensing of medication and health care products to customers. They focus on maintaining high standards, organization, ethics, and confidentiality as they function in their role under the supervision of a licensed pharmacist. Daily responsibilities include receiving prescriptions, preparing medications for dispersing, managing dispensaries, assisting with emergency care, communicating with prescribing physicians, taking medication histories, and updating patient profiles, and guiding customers on the proper way to take their medications. In a hospital, the pharmacy technician’s role is expanding to include directly interviewing patients to take their history and calling community pharmacies to reconcile the results of the history, interpreting inventory cycling and drug distribution, and following up with patients to ensure adherence to the medication guidelines. Graduates of a pharmacy technician program are eligible to sit the Pharmacy Technician Certification Exam administered by the Pharmacy Technician Certification Board to earn the Certified Pharmacy Technician (CPhT) credential. 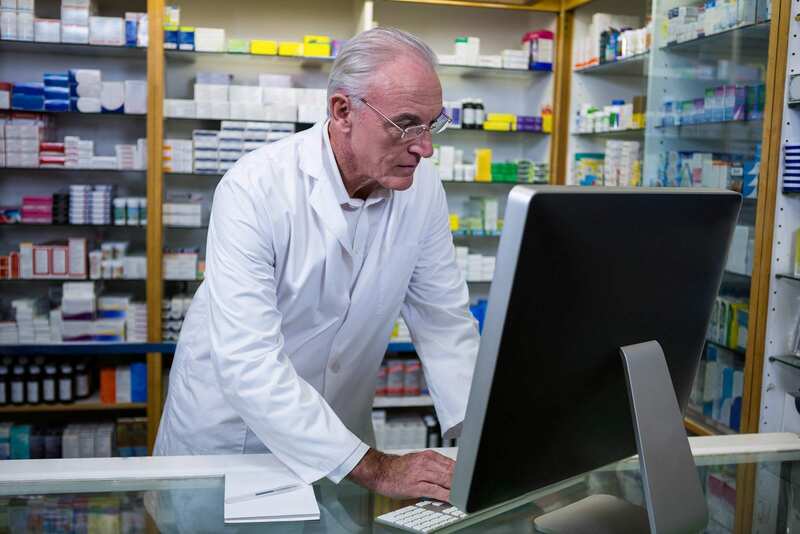 PTCB certification is not required in New Jersey, but it garners confidence from employers who need employees to take a more active role in the pharmacy. All pharmacy technicians must be registered with the New Jersey Board of Pharmacy. 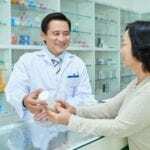 Technicians work in hospital pharmacies, retail pharmacies, clinic pharmacies, home health care pharmacies, long-term care pharmacies, mail order pharmacies, and pharmaceutical companies. Graduates of the pharmacy technician program at Bradford Institute will be eligible to sit the PTCB licensing exam to earn the prestigious Certified Pharmacy Technician title. They will also become a New Jersey Registered Pharmacy Technician for employment in leading hospitals, clinics, pharmacy stores, insurance companies, and physicians’ offices. The curriculum includes six independent modules covering Medical Terminology, Pharmaceutical Calculations, Pharmacology, and others. Students must complete a non-mandatory pharmacy externship, comprising of 50 hours at a designated pharmacy, after completing the classroom component. The externship is essential as it gives students the opportunity to utilize their knowledge base in a clinical setting. Bradford offers both day and evening class options. Day classes meet Monday through Thursday from 9:00 am to 2:00 pm. Evening classes meet Monday through Thursday from 5:00 pm to 8:30 pm. Training Institute will have the knowledge and competency to assume entry-level employment as a pharmacy technician. Experienced instructors cover pharmacy computing, inventory and billing, preparation of prescription, customer care, and pharmacy administration to prepare students for practice under the supervision of a licensed pharmacist. Graduates will demonstrate competency in the preparation and dispensing of medications, maintenance of patient records, mixing of drugs and parenteral fluids, and packaging and labeling of medication orders. After completing the academic coursework, students will be expected to participate in a 50-hour externship at an approved affiliate facility. The experience will give students an opportunity to apply the theoretical concepts in a real-world pharmacy setting. Be able to use a calculator. Upon successful completion of prerequisite course work, the students will participate in a 50-hour practicum at an approved field- based facility. The practicum provides the student an opportunity to apply the principles and practices learned in the classroom and utilize entry-level Pharmacy Technician skills. Onsite personnel will evaluate students at the end of the externship. The entire program covers a total of 450 contact hours. Brookdale Community College prepares students for the Pharmacy Technician Certification Board Exam. The program is an intensive study of the topics that are essential for success in a retail or institutional pharmacy. Course modules include pharmacy calculations, prescription basics, pharmacy law, and compounding medications. Instructors will also emphasize the top 200 drugs, inventory management, patient records, and billing. Practical learning exercises will center on real-life simulations that will prepare students for a 20-hour internship at the conclusion of the theoretical component of the program. The classroom lectures will cover a total of 114 hours. Classes meet Tuesday and Thursday from 5:30 pm to 8:30 pm for three months. Full instructions will be provided after registration. Students must purchase the required textbook and commit to a minimum of 85 percent attendance. Tuition costs $1,369. The pharmacy technician program is conducted by the Continuing Education department at Morris County Vocational School District. It requires the attendance of all 26 sessions as students receive the skills and knowledge needed to assist pharmacists in a retail or institutional pharmacy. Students will be prepared to sit the Pharmacy Technician Certification Board. PTCB certification is not required in New Jersey, but it gives candidates a competitive advantage on the market. Areas of study include pharmaceutical calculations, medical abbreviations, pharmacy law, responsibilities of a pharmacy technician, drug interactions and side effects, and preparing and dispensing prescriptions. Candidates must register for the pre-entrance test. There are no medical requirements for enrolling in the program. Classes meet Monday and Wednesday from 6:00 pm to 9:00 pm for three months. Tuition costs $649 and includes the required textbook. AIMS Education equips students with the skills to become skilled pharmacy technicians who are capable of dispensing medications under the direction of a licensed pharmacist. Students learn through lectures, hands-on experiences, and a clinical internship where they will apply the skills acquired in the classroom. Areas of study include pharmaceutical terminology, drug administration, pharmacy management, pharmacy law, compounding, drug classifications, and customer care. Upon conclusion of the didactic requirements, students must complete a mandatory 120-hour clinical internship. Experienced staff from AIMS Internship Department will select a clinical site that will give students the best opportunity to apply their skills in a real world environment. A mentor will instruct and guide students through the internship. The clinical hours will be determined based on the availability at the clinical affiliate. Both day and evening students will be required to attend the internship during normal business hours. Evening or weekend schedules may not be available. The entire program is 220 clock hours: 100 hours in the classroom and 120 hours at the internship site. The duration of the day program is 3 months and the evening program is approximately 4 months. Contact the school for details on the tuition.